To make themselves as indispensable as possible to enterprise customers, most of the big cloud services companies are making a concerted effort to burrow deeper into the on-premises data center. At the heart of this shift in cloud service models is a desire to help customers more easily manage a hybrid cloud. This push by vendors to get into the data center is best illustrated by the introduction of cloud appliances -- actual hardware that Microsoft, Oracle and others now sell. These appliances provide both relief and challenges for IT teams trying to make the best use of the public cloud while optimizing the use of their on-premises technologies. In other cases, software is what cloud providers are using to pull their customers closer. IBM Cloud Private, for example, aims to provide users with a mix of private and public cloud technologies. AWS Outposts lets customers use the same APIs as in the public cloud for on-premises work handled by Amazon-approved servers. Microsoft positions its Azure Stack as an on-premises extension of its cloud services. Similarly, Oracle Cloud at Customer offers cloud services from behind a customer's firewall. Google, meanwhile, sells a data center version of Kubernetes Engine called GKE On-Prem for customers that want to manage clusters via Google Cloud Console even if some clusters are in on-premises locations. The result is intended to create what some see as a single-provider hybrid cloud. These new offerings -- whether hardware or software -- spell change for IT organizations. Those who adopt provider technologies should expect a reduction in some responsibilities, some new complexity and perhaps more of a focus on ensuring smooth service delivery. The public cloud and the appliances now associated with it are best contrasted with the private clouds that companies have built in recent years, IDC analyst Rick Villars said. Whether those private clouds were assembled from piece parts with their own catalog and scripts or if an organization simply chose to have their private cloud built by the likes of Rackspace or CenturyLink, "these new public cloud options are much more consistent," Villars said. "Basically, every private cloud has been unique, but these new options are all essentially very similar," he added. The major limitation with existing private clouds is that they are inflexible in being able to deliver what an organization needs. "They were predesigned in terms of capacity and storage, and, if you wanted to grow, IT had to grow the whole system as one," Villars said. Furthermore, the systems were fragile. If a new processor was introduced, you had to start over from scratch. In contrast, these new cloud service models and platforms, including their associated appliances, are much more flexible. "It is now very much a consumption-based model," Villars noted. These appliances make it easier to add storage or compute capacity for IT to incorporate new technology into an environment while maintaining daily operations, Villars said. "Frankly, another big benefit is you stop worrying about patches and fixes and upgrades, and, potentially, the system will get better over time as the provider implements improvements and security enhancements," he added. The real thing that these new offerings provide to IT is true modernization, Villars said. Private clouds were a compromise focused on delivering the appearance of a more modern data center. "You had your existing IT loads, but you wanted to make it easier to provision and still reduce operating costs," he explained. It was not a case of IT people saying, "This is my new alternate form of infrastructure to create new offerings like precision medicine, because it was hard to replicate and consume." In contrast, the new cloud-based platforms provide that dedicated place "so you can develop and deliver in more of a SaaS fashion," Villars said. However, Villars noted, they are platforms designed to extend to edge locations more than for handling traditional central activities. While they might make IT run the data center differently, "the key is you will now be able to deliver a SaaS-like service to your factory, your cruise ship or your hospital," he said. With these new offerings, cloud providers are coming to the table and saying you can buy infrastructure and have it look like cloud from an architectural standpoint. The discussion about capabilities -- and taking a load off of IT -- must also include cost, said Lauren Nelson, a Forrester Research analyst. The new options are potentially useful, but not inexpensive. And, like Villars, she said those willing to pay are most likely going to be organizations with distinct needs, such as facilities on islands, military bases and cruise ships. How expensive are they? Hard numbers are difficult to come by, but Nelson noted that Microsoft Azure Stack, which was arguably the first offering on the market, is reputed to be expensive. "That fact has mostly confined its use to the edge, but it does provide IT with deployment freedom," she said. That's not only because you can stretch an app across two places, but because you are able to more easily move those apps over time. There's some appeal to be found in these shifting cloud service models. For IT people, a large infrastructure investment is seen as risky because it might take five or more years for that to pay off. By then, Nelson said, their organization may have a different cloud strategy. "With these new offerings, cloud providers are coming to the table and saying you can buy infrastructure and have it look like cloud from an architectural standpoint," she said. "The big challenge for folks is deciding what they are willing to pay upfront to actually make this a reality," Nelson said. In terms of a more operational focus, Ed Anderson, an analyst at Gartner, made some further distinctions about the impact on IT. "Hardware systems delivered by cloud providers are generally locked-down systems, fully managed by the cloud provider or one of their partners," he noted. "This type of offering disintermediates the role of classic IT, which basically has no role in the management and administration of these solutions." So, in effect, the new cloud-rooted appliances turn the traditional enterprise data center into a type of colocation facility for the cloud provider. "The implication for traditional IT is that they have essentially no role in the management of the system other than to plug it into power and network," he said. However, operationally, IT must therefore focus on the consumption of the services delivered by these systems -- in essence, making sure the users are happy. In contrast, software from cloud providers that is now being made available for use in a private data center through these changing cloud service models -- such as GKE On-Prem, which places Google Kubernetes Engine in a customer's data center, or Amazon RDS on VMware -- provides a new type of technology IT professionals can interact with and manage. 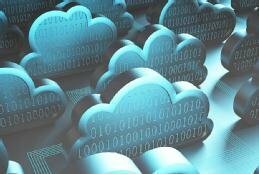 Generally, these will be used only for hybrid compatibility with public cloud services, Anderson said. Since the cloud business model is based on mass standardization, pushing cloud services into private data centers must preserve the same level of standardization as public cloud services to protect the overall cloud model, Anderson noted. As a consequence, services such as Microsoft's Azure Stack, AWS' Outpost, Oracle's Cloud at Customer and other similar offerings, must be locked down and managed by the cloud provider. And, no matter how it is sliced, that "leaves fewer responsibilities for IT professionals," Anderson said. How would you evaluate on-premises technology bought from cloud service providers?